I love having a playroom. Especially a family playroom! You might think having a computer, toys, AND music equipment all in one room would be a challenge. I call it cozy. And it’s not bad! As long as the toys win.In this room anyway, I don’t mind. I love having lots of floor space for Oscar. And as he gets older, we see what works and what doesn’t. 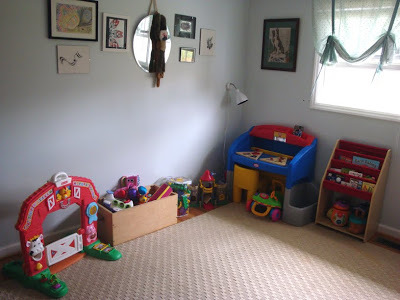 This was the original playroom and since then, some things have changed! Oscar has outgrown the exersaucer (sniffle) and we were given an awesome little tikes desk! We also inherited a few more toys from the older cousins and I got a little bookshelf so Oscar can see what his options are. The book organizer is the most recent addition and I love it! I got this one from Target and at my store it was 50% off! Definitely a good deal if you are in the market. It’s smaller than I imagined but perfect for Oscar. 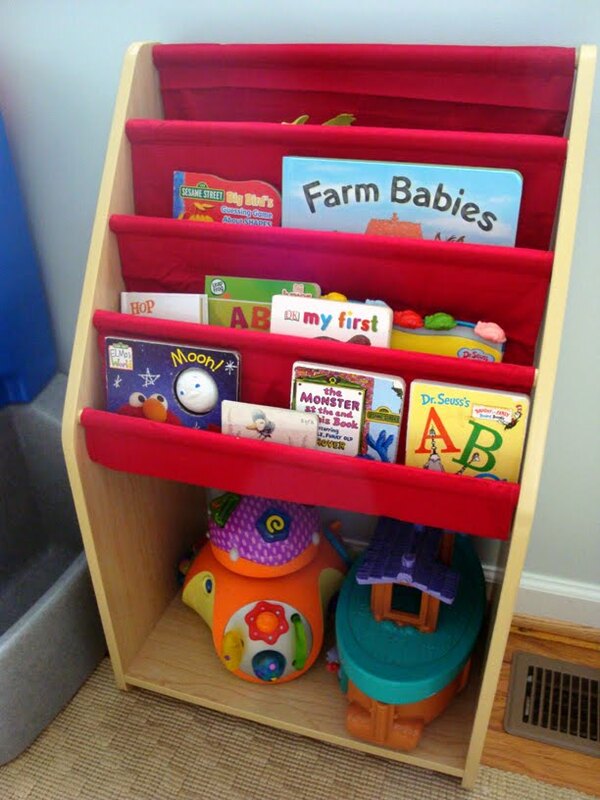 Our little playroom is really coming together! Happy Friday Follow. I am at this very moment your newest follower. 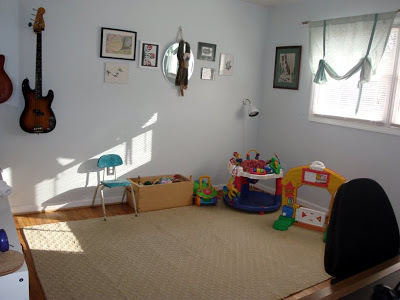 You are so lucky to have a play room. How I envy you. My whole house is a play room but maybe one day but by then everyone will have grown up or won't be here anymore. Oh well, I'll just enjoy the messes now. hi from FF – have a great weekened!! Wish we had a playroom too!! !